As frequent flyers, we know from experience that air travel, especially long-haul international flights, can wreak havoc on your skin. When it comes to maintaining hydrated skin in-flight and landing at your destination feeling refreshed, having a curated carry-on with the right travel-size beauty products can make all the difference. Aside from just skincare products, we're sharing the must-pack mini essentials, from dry shampoo to deodorant, we swear by for stress-free travel. Ahead, peek inside the luggage of MyDomaine's travel editors for some serious packing inspiration. "I rarely ever pack my hair straightener when traveling, so instead I rely on one low-maintenance hair look: easy waves. 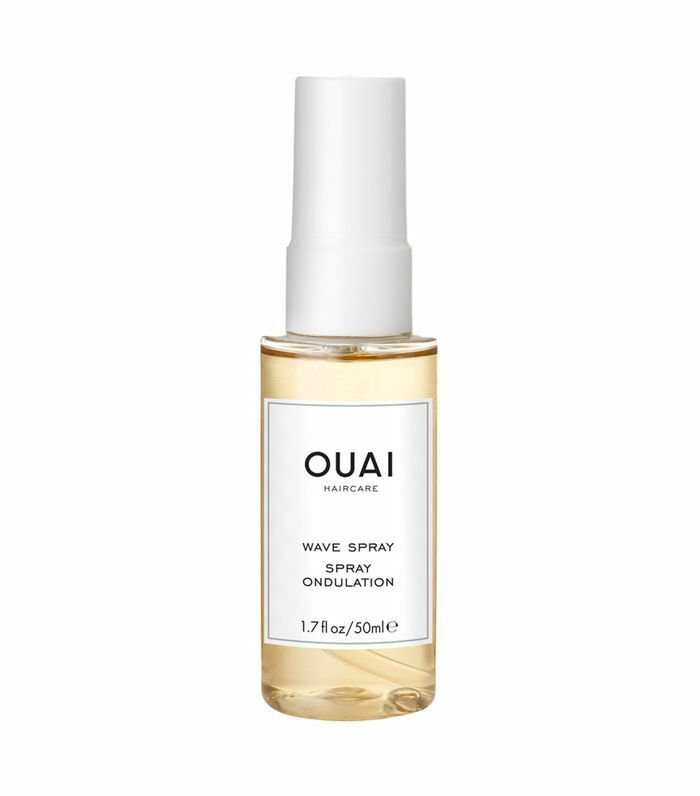 I naturally have a slight wave to my hair, but I use this wave spray to make it look more polished and give it added dimension. 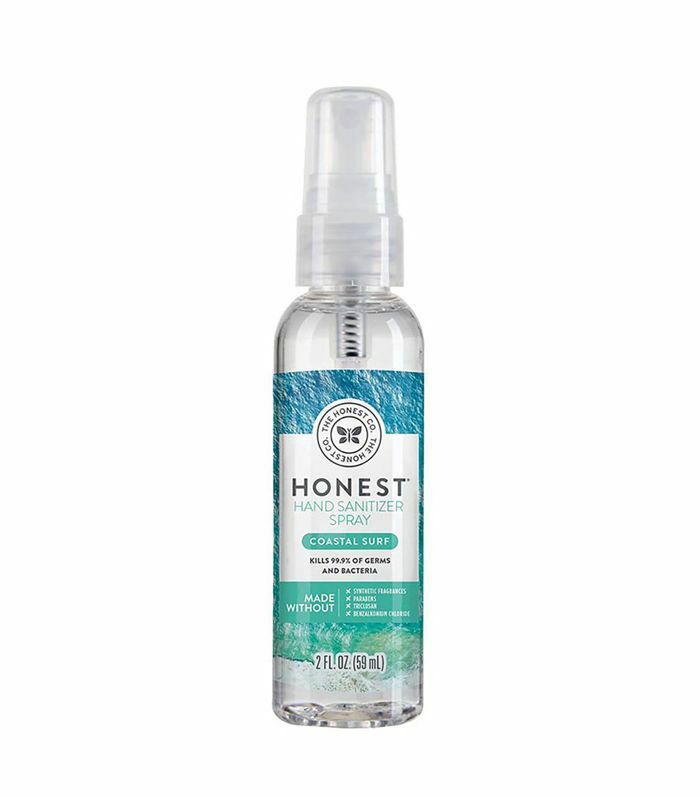 The wave spray even doubles as a hair spray when I wear my hair up—it's the perfect multipurpose product for low-maintenance styling." "My skin gets super dry in winter months—especially after long-haul flights—so marula oil is a skin savior. 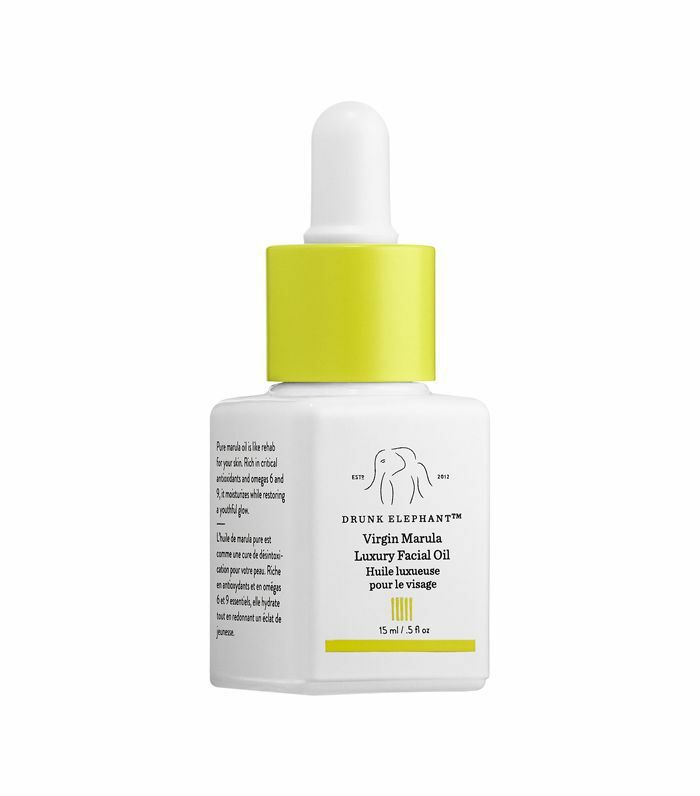 I apply a couple drops to my face and neck before applying my makeup in the morning (and wear it sans makeup on planes to make sure I land looking refreshed). The mini that comes in the Drunk Elephant NightBright Duo ($28) never leaves my purse, so I always have it on hand for on-the-go touchups if I get a dry spot or want to freshen up my makeup with a dewy look." 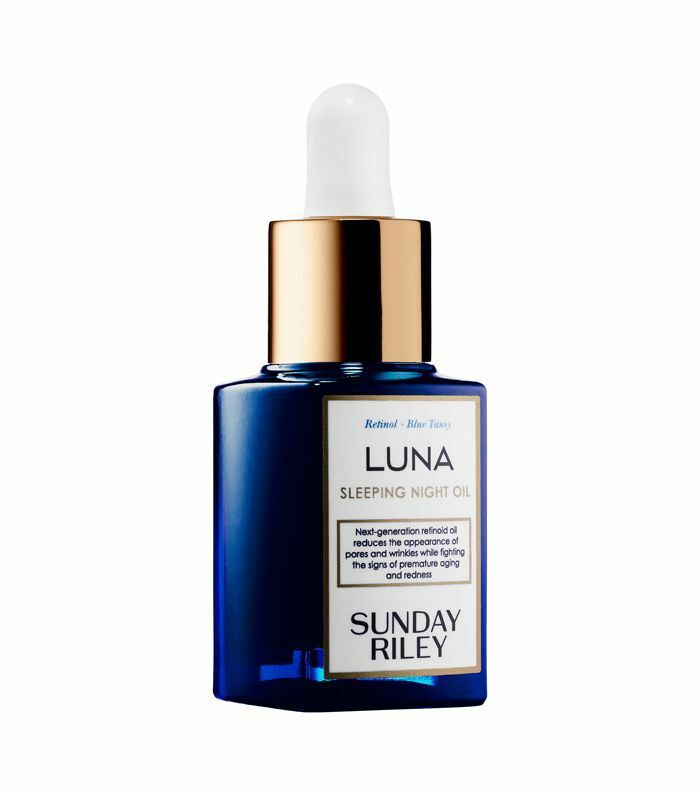 "I use this retinol oil nightly, so I bring the smaller version with me whenever I travel. After adding it to my skincare routine a little over a year ago, it quickly became my favorite product for refreshing tired-looking skin, keeping breakouts at bay, and reducing the look of fine lines." "These mini travel fragrances are always in my carry-on. They're smaller than mascara, so they fit easily into my makeup bag and are among the best-quality, affordable fragrances at just $32 each. 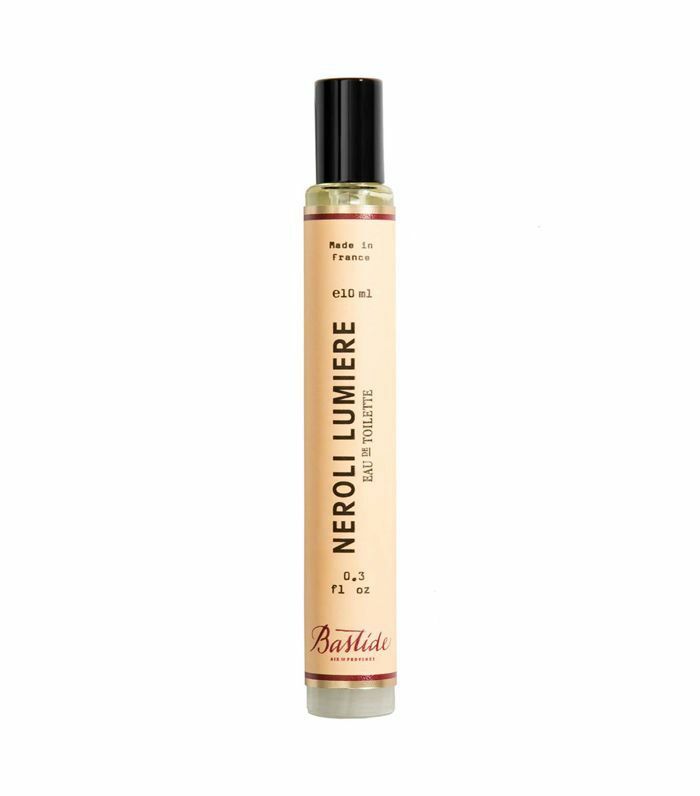 I use Neroli on beach vacations and the new Fig scent for city getaways." 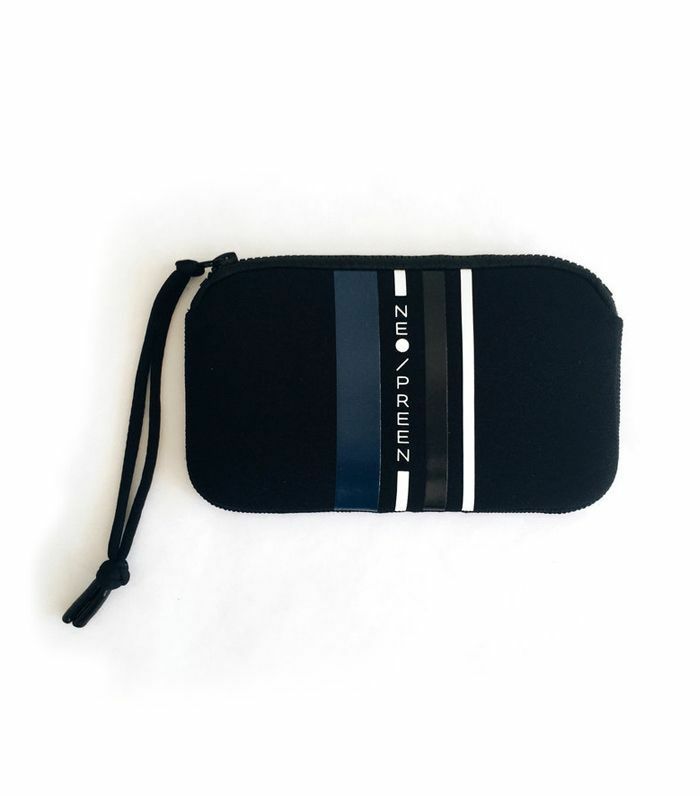 "This travel case is made of wetsuit material, so it cushions any glass fragrances or foundation bottles inside (no more breakages) and doubles as a casual clutch on beach trips." "I just tried one of Dr. 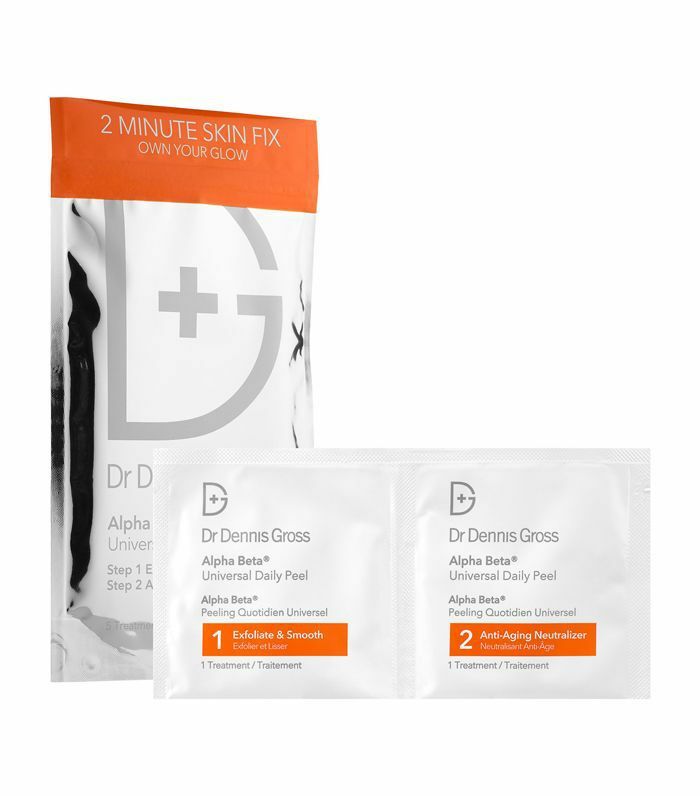 Gross's Alpha Beta facials, and it totally changed my dull, dry winter skin. I'll be taking these mini peel pads on vacation to give my skin a post-flight radiance boost." "My hair tends to get really dried out when I travel, so I always pack my own shampoo rather than relying on hit-or-miss hotel bath products. 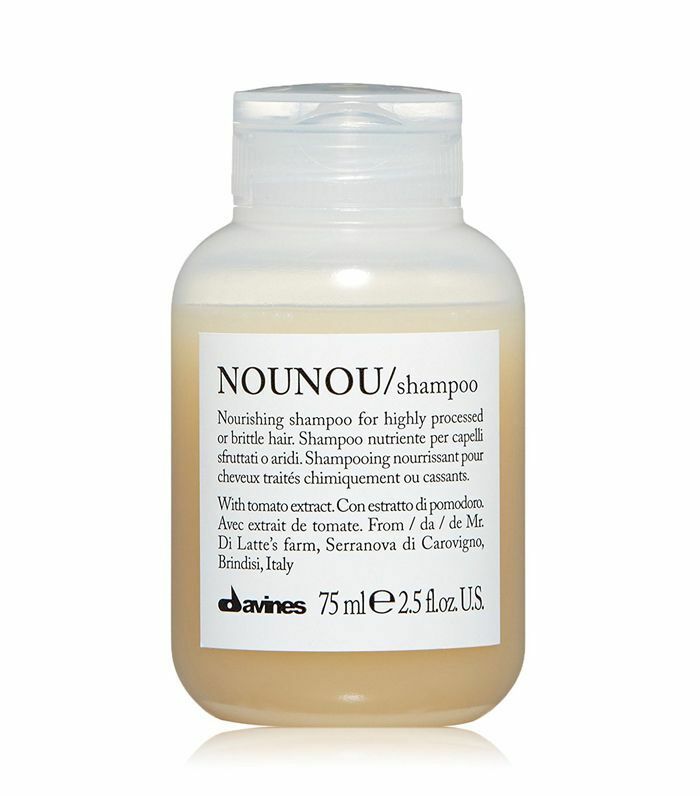 I swear by Davines Nounou shampoo to revive lackluster locks." 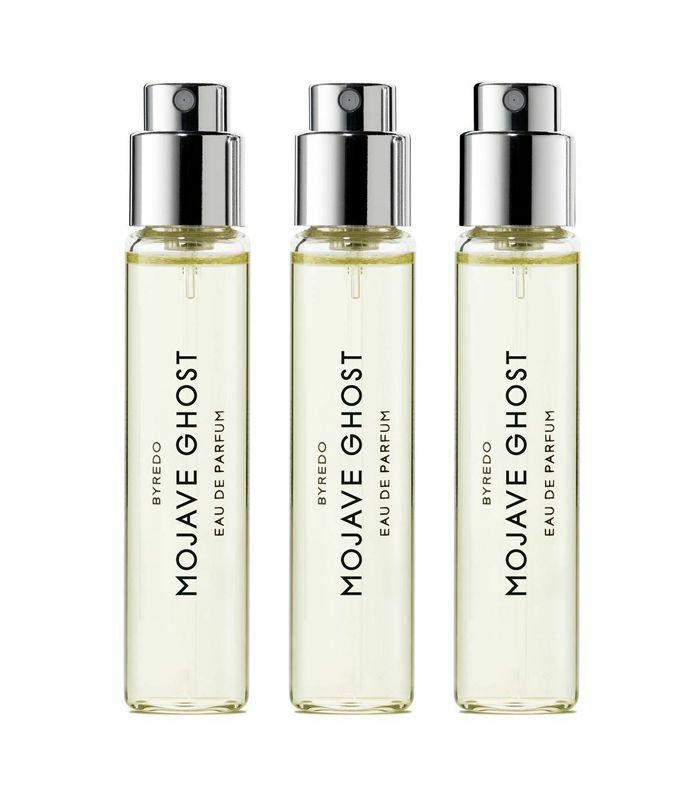 "Byredo's travel-size bottles are so easy to pack, which is perfect because I wear a spritz of this sweet-but-not-too-sweet scent daily." 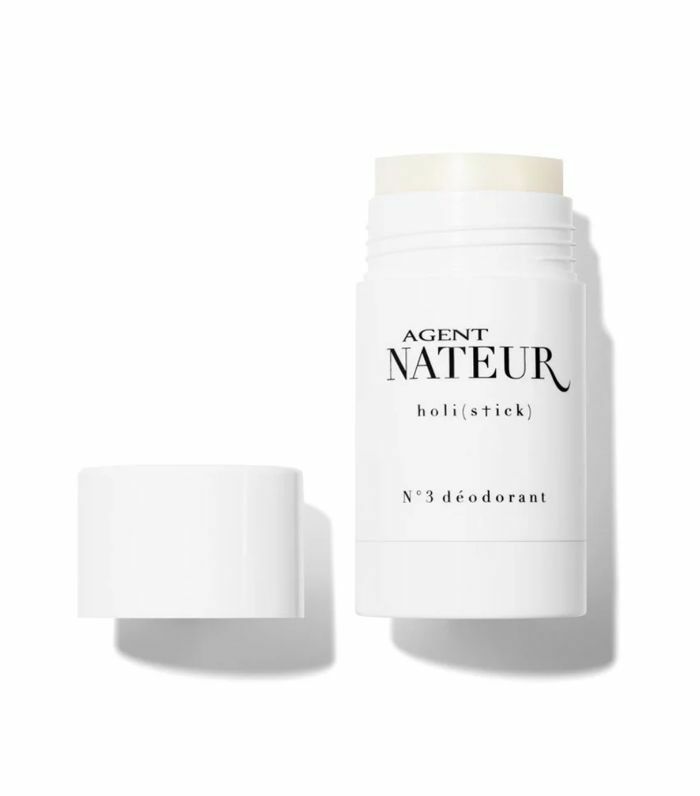 "After trying numerous all-natural deodorants, I've found that Agent Nateur's Holi(Stick) is by far the best one on the market. Although it isn't specifically a travel-size product, it is just under two ounces, making it easy to toss in my carry-on (thank goodness)." 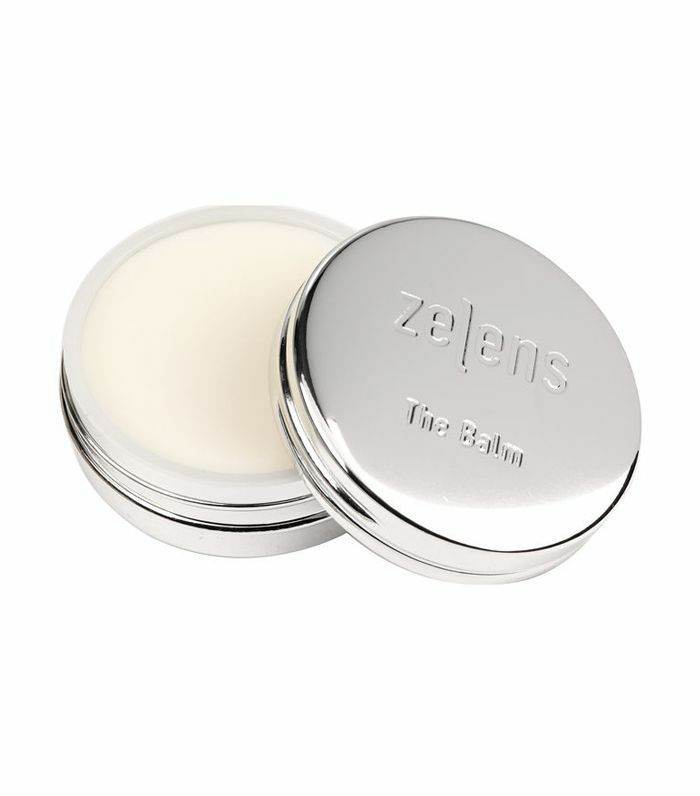 "I always pack this balm in my carry-on since I tend to break out and dry out while flying. 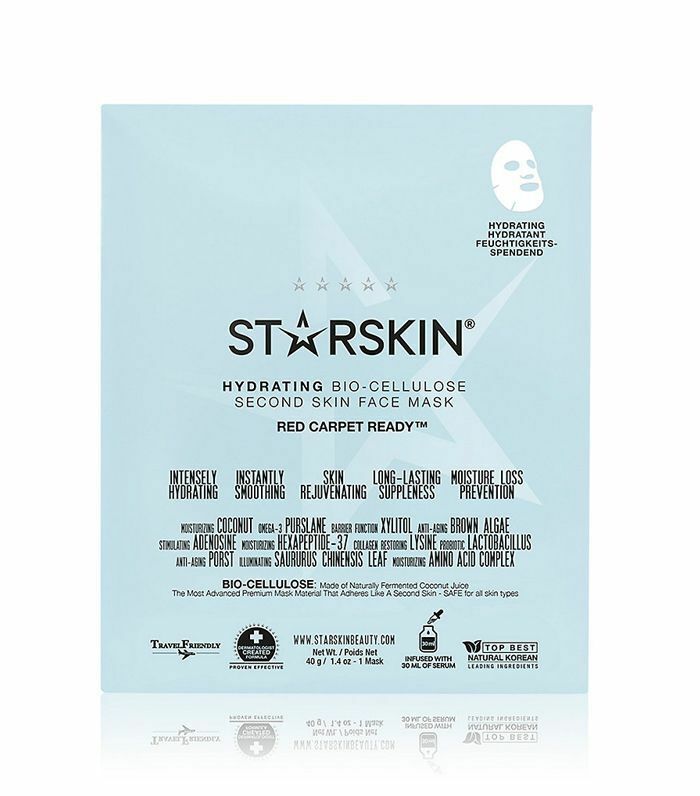 It's really soothing and calming, which is perfect for stressed, dehydrated skin, but since it's rich, I usually only put it on really dry areas." "Nothing drives me crazier than chapped lips while being trapped on an airplane or traveling away from home. It's super nourishing so you'll feel the difference and see the difference with longer-term results like fuller lips with fewer fine lines." "It's always a good idea to keep a mini dry shampoo with you while traveling. This one smells really good and fits in my purse." 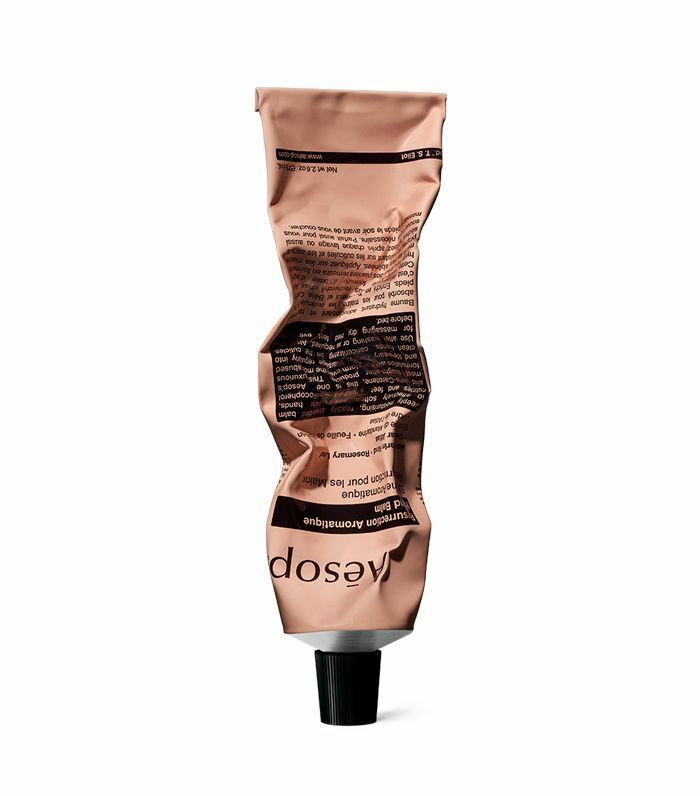 "Plane soap dries my hands so fast—this hand cream is a life saver (and it smells so wonderful)." 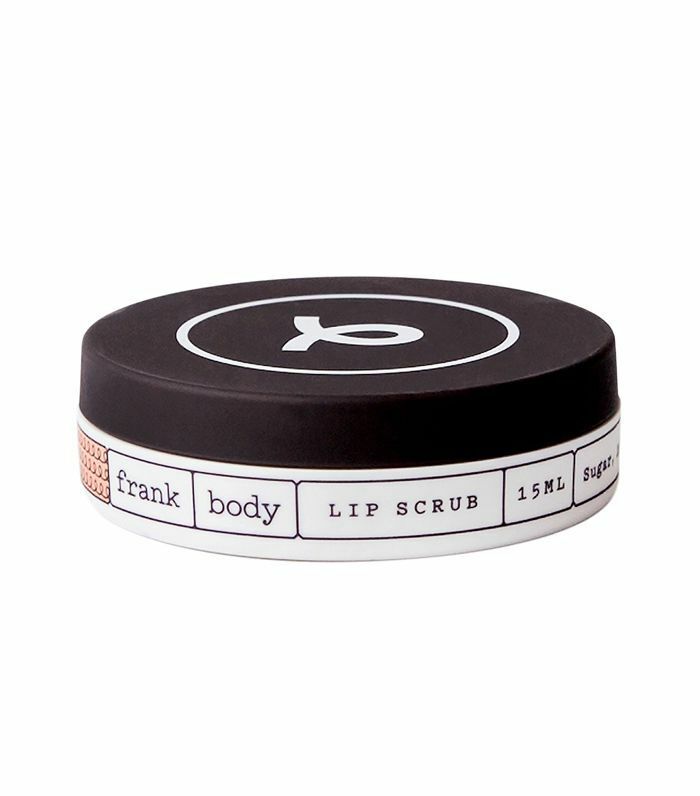 "My lips get very chapped on flights, so I use a combination of the Frank Body lip scrub and balm before I go to bed when I reach my destination, and wake up with freshly moisturized lips." 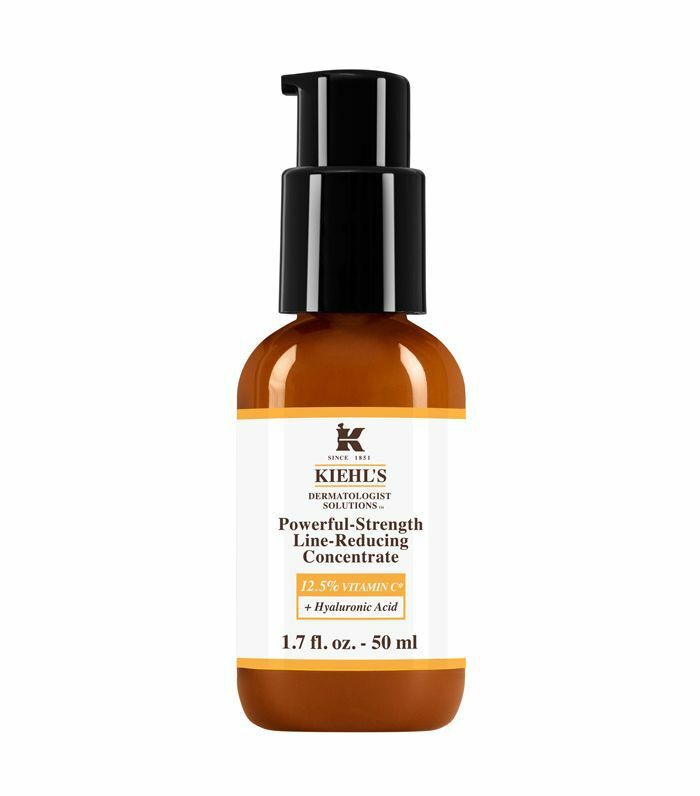 "I never go anywhere with this Kiehl's serum. It's my miracle product. It makes my skin look and feel visibly smoother. If I had to travel with only one beauty product, this would be it." "I'm not one of those people who pretend to put on face masks on the plane, but I love this sheet mask when I get to my destination. 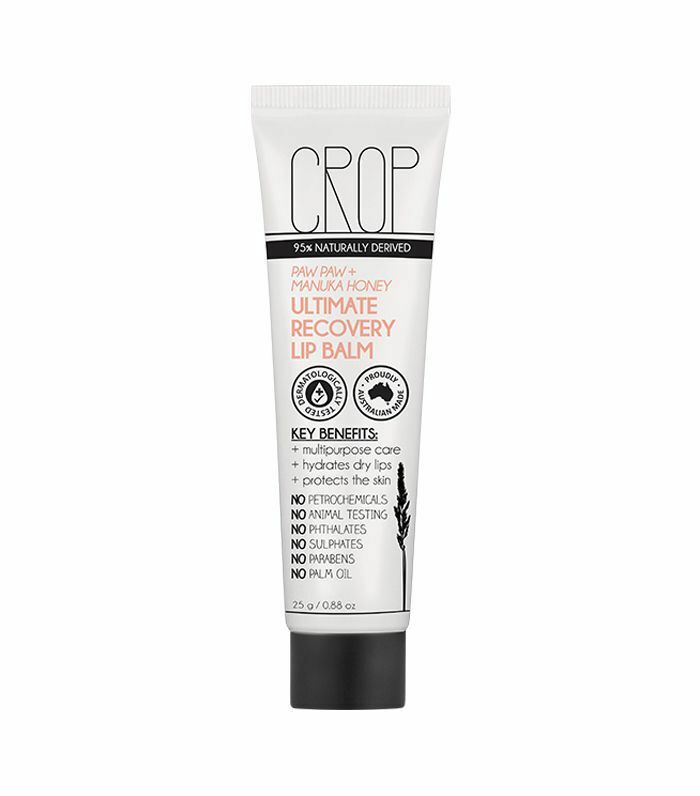 My skin gets really sensitive and dry when I travel so this helps a ton." "I am one of those people who prep their whole skin once they've boarded the plane. 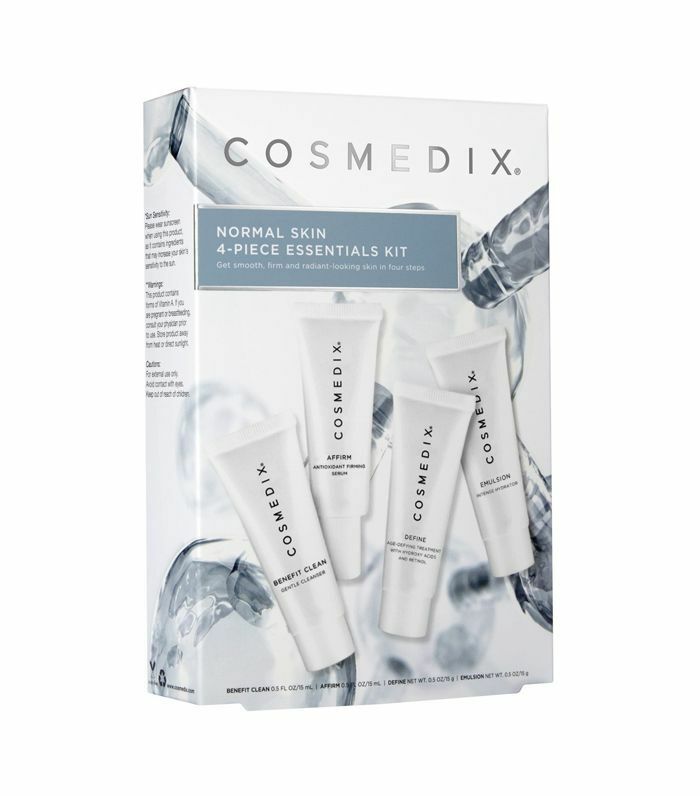 Since most of my products are in large bottles that can't be taken on board, I always make sure I purchase one of these Cosmedix travel kits. I love the Starter Kit because it has all the mini essentials you need, including a serum. They have different kits depending on your skin type too." "I absolutely cannot fly without these. A work colleague gave them to me with my secret Santa gift last year, and it was truly the gift that keeps on giving. 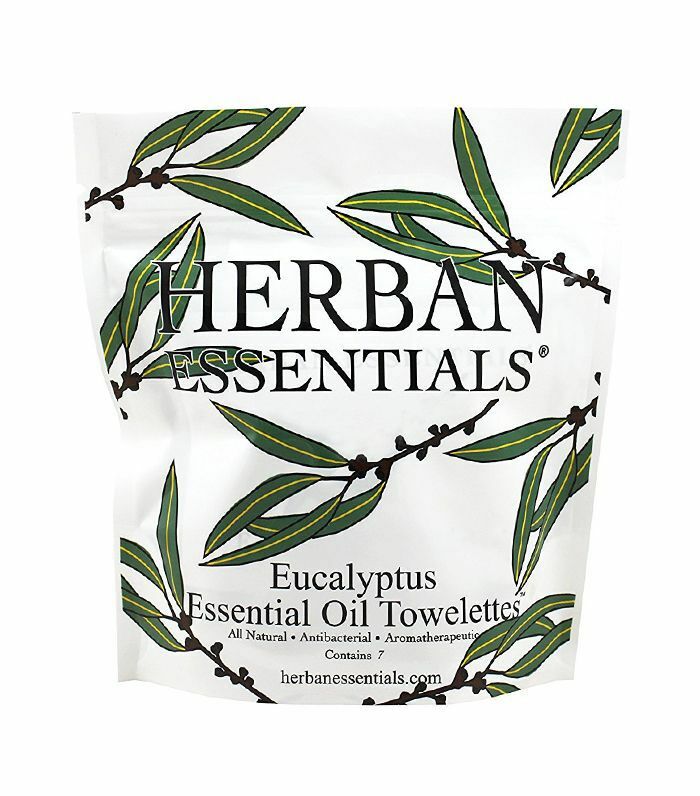 These towelettes only have three ingredients too, so they're super natural and don't dry your skin out." 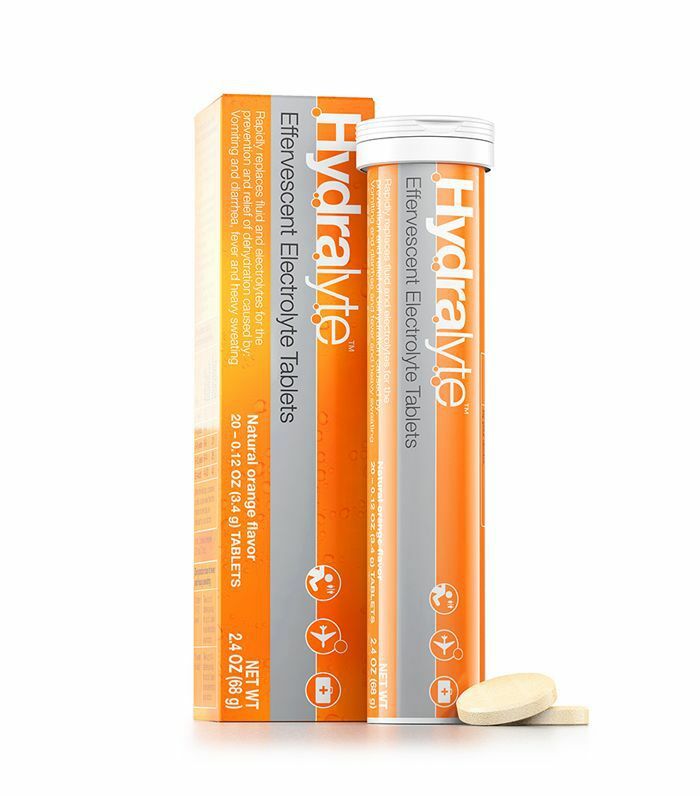 "I love adding these to my water to keep my body and skin hydrated on long flights. They also taste amazing, which is helpful on long flights to disguise the filtered plane water." "Full disclosure: I rarely take the time to layer on product after product before a flight, so a face spray is a perfect shortcut. 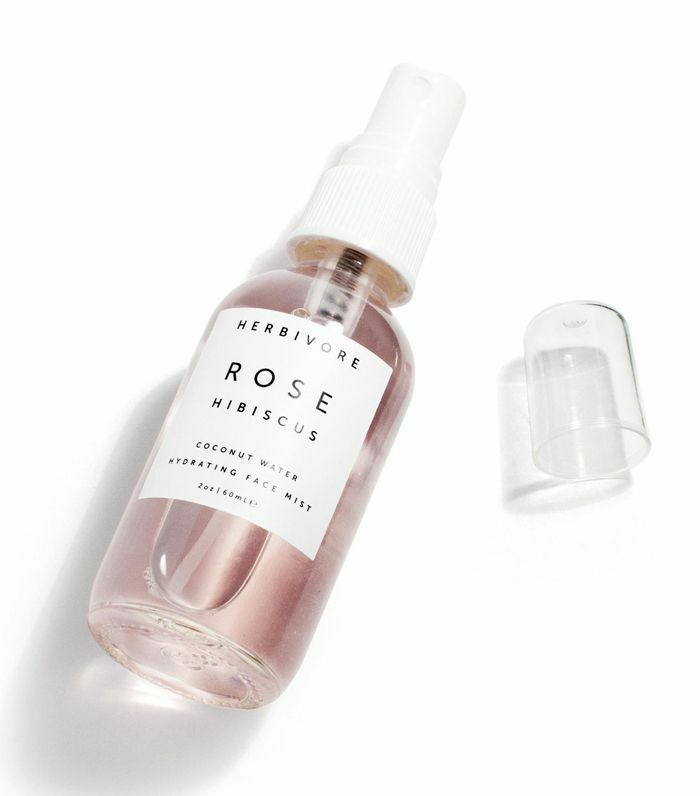 A few spritzes of this Herbivore Botanicals mist and I instantly feel moisturized and refreshed." 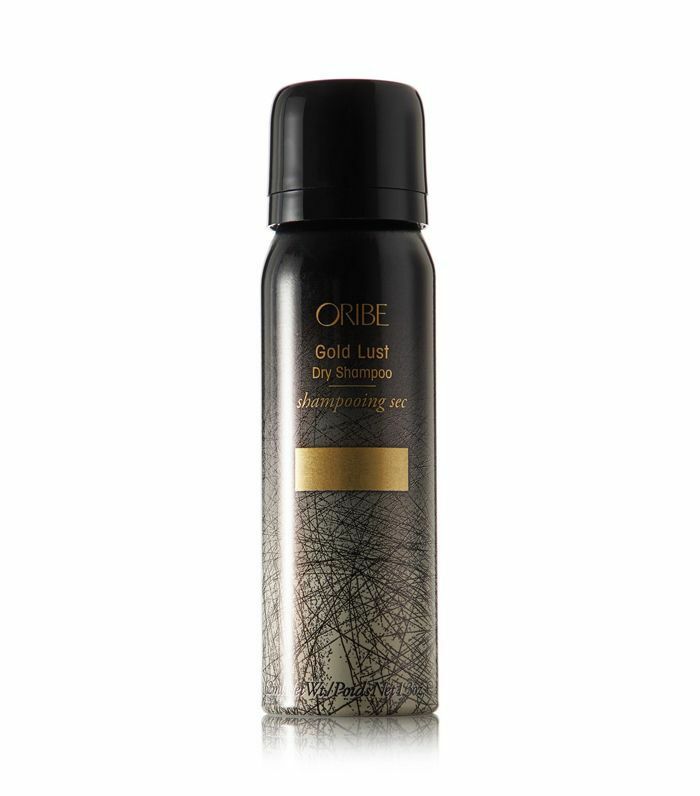 "I use this on my hair every day, especially when traveling. 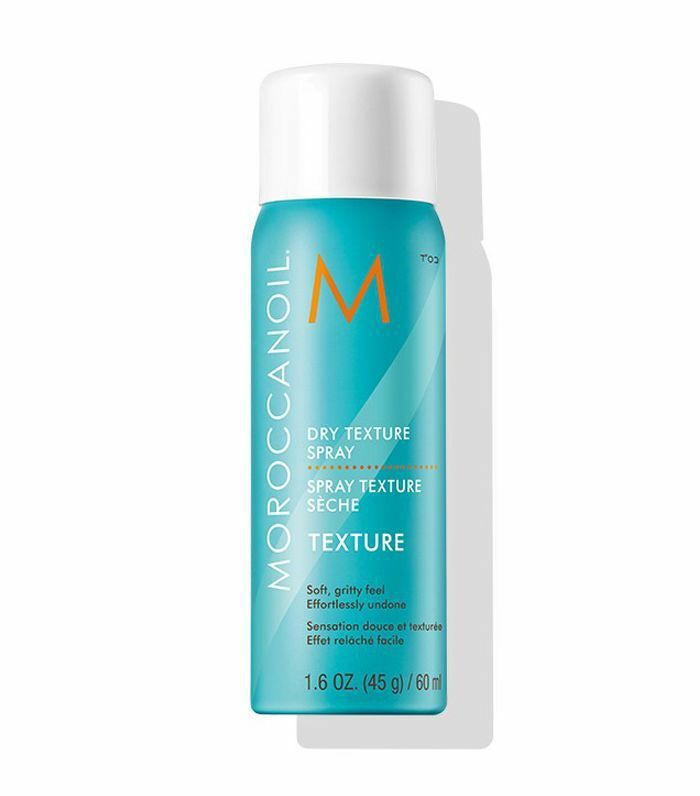 It's a dry argan oil–infused texture spray, meaning it acts as a dry shampoo, in addition to emphasizing your hair's natural waves. Plus I like the smell—it's the perfect fix after a long flight." "I'll never board a plane without lip balm. Admittedly, I usually end up applying whatever I find at the bottom of my purse, but if I remember to plan ahead, it's Grown Alchemist all the way." "My super-sensitive skin gets so, so dry the second I board a plane. 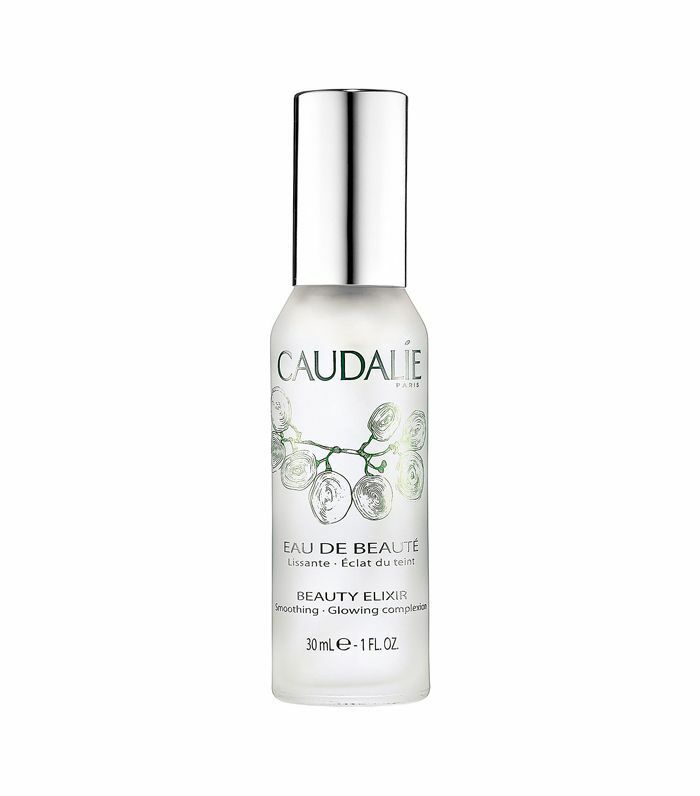 I spray this hydrating mist throughout the flight to keep skin feeling dewy. It also smells incredible and feels like a bit of aromatherapy." "Planes are frightening—need I say more?" 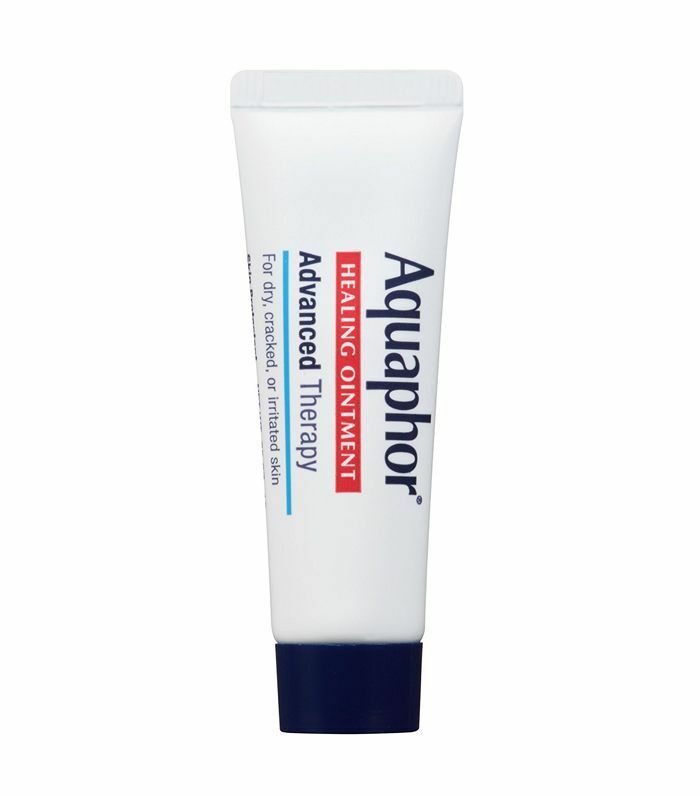 "I swear by Aquaphor on a daily basis, but especially when I'm on a flight—it keeps my lips from getting dried out and chapped from the recycled plane air." 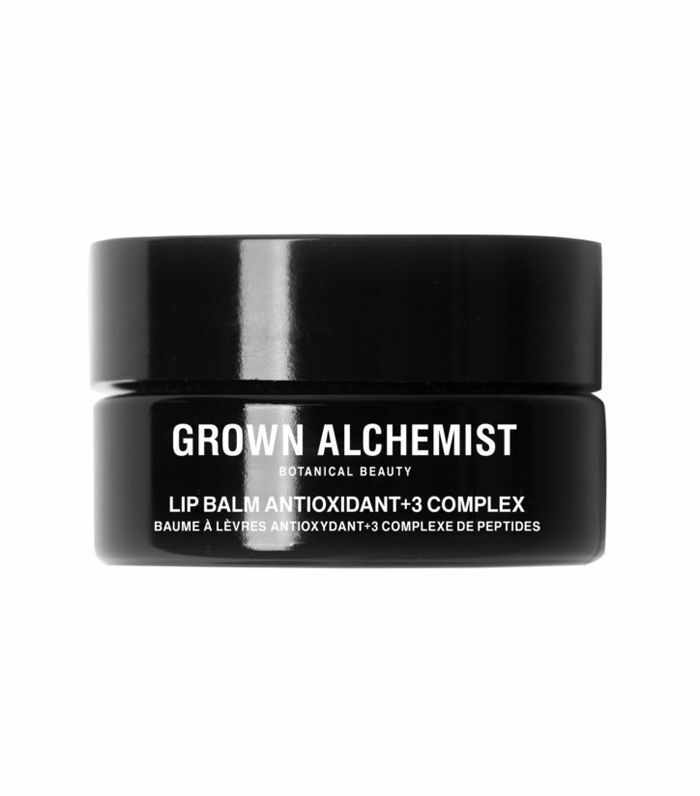 "I recently came across this lip balm, and it hasn't been more than an arm's reach away from me since. 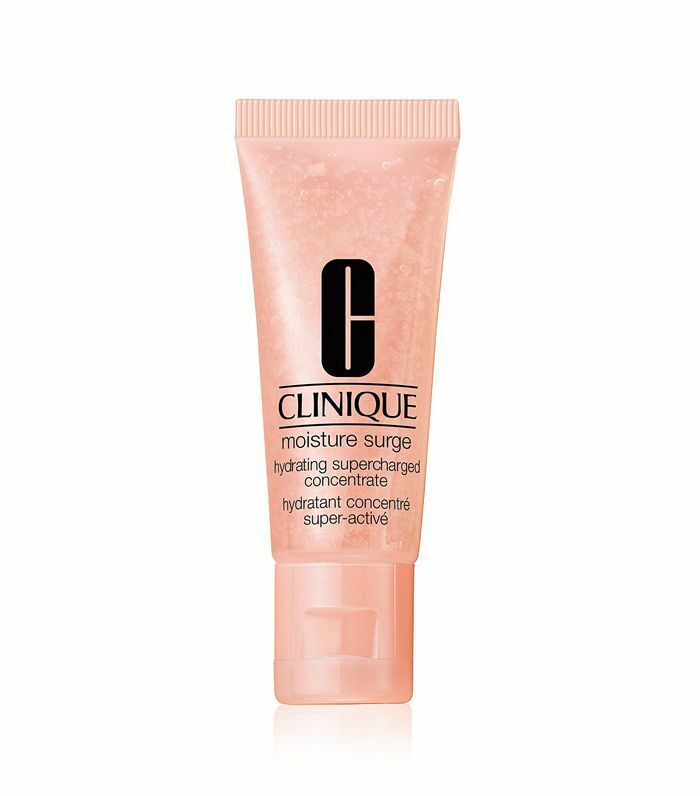 It's seriously hydrating and the perfect size for traveling." 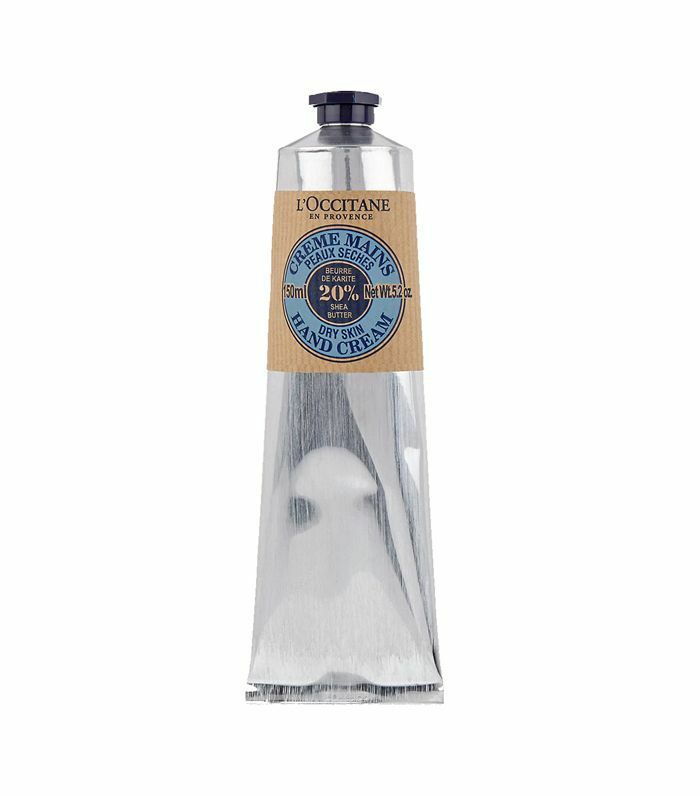 "Airplanes are notoriously dry and dehydrating, so a good hand lotion is a necessity. This one is fast-absorbing and smells divine." 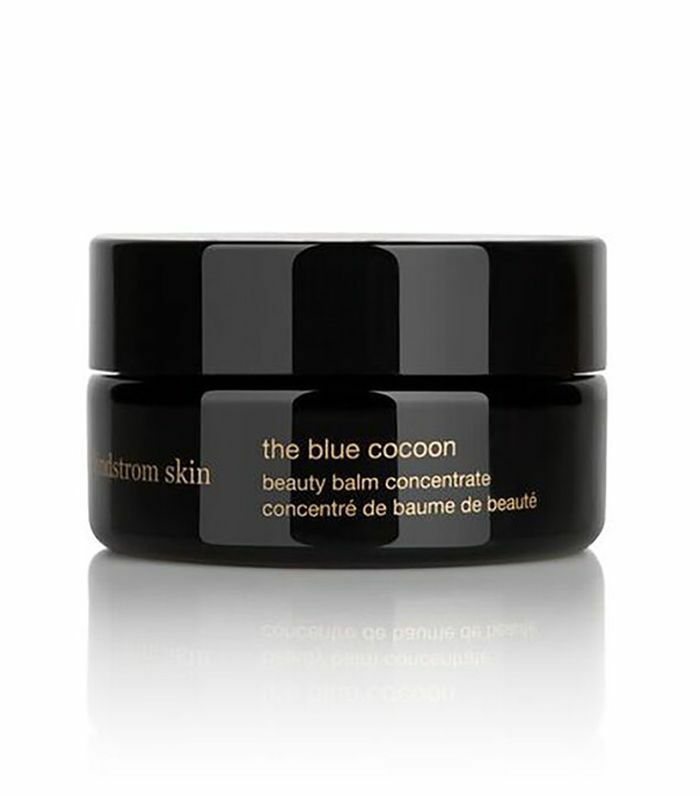 "This lightweight gel moisturizer is antioxidant infused and perfect for quenching dry skin. When flying overnight on a red-eye or a long international flight, you'll want to be able to soothe dry skin and give your face a bit of a refresh before deplaning." If you still have some packing to do, shop the under-$200 jet-setting essentials we swear by.